CuZn Heavy Duty In-Line Replaceable Filter Media Housing. Comes with a 3/4'' inlet & outlet. 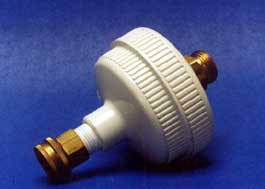 These housing units are designed as an economical alternative for incoming water line installation. C-WH10 holds 5 pounds of replaceable filtration media, while C-WH20 holds 10 pounds of replaceable filtration media. 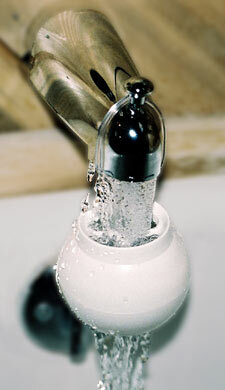 An economical whole house water filtration system. If you've a problem with moderated ''hard water'', this unit will soften your water, although it is not a softener. It will change the molecular shape of the Calcium crystal so that the calcium will be unable to adhere to a surface and will flow through in the water stream. In this way no scaling should occur and the water will behave like soft water. 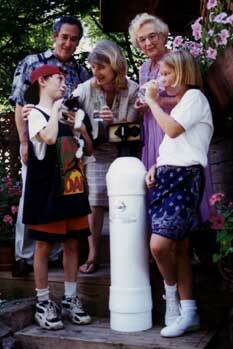 Filtration medium to be changed once in about two years, depending on the usage of water. Sizing: WH10 = 10 Inches long / WH20 = 20 Inches long. The WHIL series is designed to last about 1 year, sometimes more, sometimes less depending upon water quality and to a lesser degree flow rates. The CuZn PetPal(r) utilizes the new PowerDisk(r) Patented FilterFoam(r) Technology, designed exclusively by CuZn for dechlorinating applications. You can use the PetMate for your garden, too! You will receive the same benefits mentioned above, plus your plants will be healthier, stronger and produced more. The finishing touch to organic gardening. 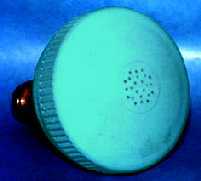 When used in water bowls and automatic pet waterers, it eliminates the salt ring. The CuZn AquaMate(r) utilizes the new PowerDisk(r) Patented FilterFoam(r) Technology, designed exclusively by CuZn for dechlorinating applications. Take pure, filtered water with you on the road. The AquaMate installs easily between the supply and the intake on your vehicle.